Applegate, Kathryn and J. B. Stump, eds. 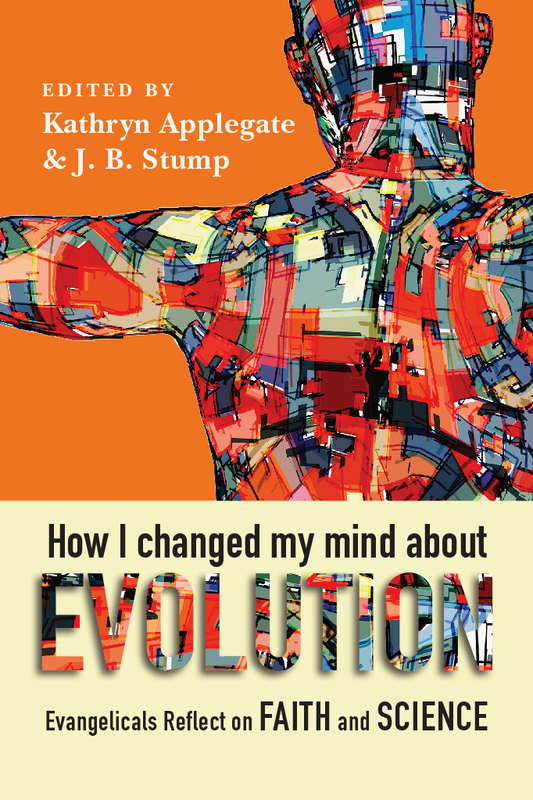 How I Changed my Mind about Evolution: Evangelicals Reflect on Faith and Science. Downers Grove, IL: InterVarsity Press, 2016, pp. 196, $10, paperback. Kathryn Applegate and J. B. Stump are the Resources Editor and Senior Editor, respectively, at BioLogos—a Christian organization whose mission is to advocate a view of “harmony between science and biblical faith” rooted in “an evolutionary understanding of God’s creation” (http://biologos.org/about-us). Applegate holds a PhD in computational cell biology from The Scripps Research Institute. Stump, who recently authored Science and Christianity: An Introduction to the Issues (Wiley-Blackwell, 2016), holds a PhD in philosophy from Boston University. How I Changed my Mind about Evolution is a collection of autobiographical essays from evangelical Christians who believe the theory of evolution is compatible with the truth and authority of the Bible. Among its twenty-five contributing authors are pastors, Bible scholars, theologians, philosophers, and scientists. Some are distinguished scholars with doctoral degrees from Oxford, Yale, Harvard, Berkeley, or MIT. Eight have doctorates in the biological sciences, and two of these biologists—Denis Lamoureux and Jeff Hardin—have additional graduate degrees in theology. Two other contributors hold prestigious positions in the scientific community: Jennifer Wiseman is a Senior Astrophysicist at the NASA Goddard Space Flight Center, and Francis Collins (who founded BioLogos in 2007) is director of the National Institutes of Health and former director of the National Human Genome Research Institute. Though their stories differ dramatically, several patterns emerge. One central theme is the intellectual and spiritual struggle many Christians experience as they wrestle to understand how the teachings of Scripture relate to the scientific evidence for evolution. For each of the contributors to this book, that cognitive dissonance was resolved by accepting what BioLogos calls evolutionary creationism—the view that evolution was God’s chosen instrument for creating the diversity of life on this planet. Some of the writers describe feeling joy and peace when they came to see Scripture and evolutionary science in harmony. Another common element running throughout their testimonies is a theme of praise to God for what He has done: expressions of awe at God’s creative power to establish and uphold the laws of nature, wonder at His ingenuity in ordaining natural processes to fill the earth with endless varieties of life, gratitude for His faithfulness to sustain the universe and protect life’s fragile existence over billions of years. Regardless of whether one agrees with these evolutionary creationists’ perspective, their testimonies dispel any doubt about the authenticity of their love for God, for His word, and for His creation. A more troubling theme surfaces when the authors describe their experiences in the evangelical Christian community. Some recount how their church’s haughty and dismissive attitude toward science was a stumbling block in their spiritual journey, or worse, a barrier to faith for their scientifically-educated friends and colleagues. Others tell how they faced personal rejection and alienation from their brothers and sisters in Christ, when word got around that they believed in evolution. Pastor John Ortberg relates a conversation he had with believing scientists who expressed their loneliness. “When I’m at work and I’m with a bunch of scientists, they’re really skeptical about my faith,” they told Ortberg. “When I go to my church, they’re really skeptical about me because of my science. I feel like I don’t have a place where I really belong” (p. 94). The examples of historic ﬁgures like Augustine and Calvin and Warﬁeld had helped me see that orthodox Christians could hold a range of positions on creation, evolution and human origins. And so the tent of the faithful was enlarged beyond the small circle of young-earth creationists. It was less a matter of having changed my position and more a matter of recognizing that a range of positions could be consistent with orthodox Christian confession (p. 27). Reading testimonies like Smith’s probably will not influence your views about evolution, but it might broaden your perspective on the church. The members of Christ’s body are not all alike. We do not all have the same function (Rom 12:3-8), and we certainly do not always agree even on issues foundational to our faith. I encourage you, my fellow evangelicals, to read these testimonies and prayerfully consider how we—as diverse members of the body of Christ—can accept one another with open hearts and humble minds (Rom 15:1-7) while remaining steadfast in the truth of God’s word. On the other hand, caveat lector: to readers unfamiliar with the tentative nature of science in general and the complexity of evolutionary biology in particular, some of the essays in this volume may give the misleading impression that science has conclusively settled the question of how life arose, and that the theory of evolution fully explains the diversity of life on Earth. In fact, however, the ultimate origin of the first living organism remains a subject of speculation; and the theory of evolution—even as an explanation of the diversity of species—is incomplete. The primary mechanisms of evolution (genetic recombination, mutation, and natural selection) are well-understood, but some other causal factors are mysterious, and interpreting the fossil record is far from straightforward. There is plenty of room for Christians to disagree about the interpretation of scientific evidence, just as we may disagree about the interpretation of Scripture. The editors and contributing authors of this book obviously want to heal a division in the church, but a careless reading might have the opposite effect. It would be a shame if their testimonies convinced anyone that full acceptance of the prevailing scientific theories is the only reasonable position, thereby exacerbating the polarization between Christians who embrace evolutionary science and those who reject it. To their credit, a few of the contributing authors do mention that there are unsolved puzzles in evolutionary science—as there are in any other domain of scientific inquiry. However, it is worth emphasizing that scientists themselves disagree about many aspects of evolution; similar disagreements between Christians are inevitable. Moreover, readers should bear in mind that the prevailing account of biological origins is not monolithic, but consists of numerous distinct theories pieced together by scientists working in a variety of disciplines. Biochemists, biophysicists, and geneticists together give an account of the processes by which hereditary features may change over time; paleontologists try to map out a coherent history of the evolutionary variations that have occurred in the past; geologists and ecologists try to explain why those variations occurred in terms of environmental changes throughout Earth’s history, and so on. Like all scientific theories, the theories that comprise modern evolutionary science are amenable to revision in light of new evidence. Perhaps the current theories are mostly right, or perhaps scientists have gotten some things badly wrong—as has happened innumerable times throughout the history of science. Regardless of where we stand on these issues, the wise and loving thing to do is to listen respectfully to each other, not write off our brothers and sisters as heretics, piteous victims of deception, or ignoramuses whenever they see things differently. That is the invaluable lesson to be learned from the testimonies in this book.